The Green Bay Packers’ coaching staff has been selected to coach at the 2016 Pro Bowl, the NFL announced on Wednesday. The Pro Bowl will be played on Sunday, Jan. 31, 2016 at Aloha Stadium in Honolulu, Hawaii, and will be televised live on ESPN at 6 p.m. CT.
Head Coach Mike McCarthy and his staff will be assigned to one of the teams following the Pro Bowl Draft — set for Wednesday, Jan. 27 at 6:30 p.m. CT on ESPN2 — while Andy Reid and his Kansas City Chiefs coaching staff will lead the other team. It will mark the fourth time that McCarthy and his Packers staff will have coached at the Pro Bowl. Pro Football Hall of Famers Michael Irvin and Jerry Rice will serve as NFL Legends captains for their respective Pro Bowl squads, and will select their coaching staff. The Pro Bowl will continue using the revised game format that debuted with the 2014 game, with the NFL Legends captains having final say over Pro Bowl Draft decisions. The Packers had four players named to this year’s Pro Bowl: FB John Kuhn (third selection), LB Clay Matthews (sixth selection), QB Aaron Rodgers (fifth selection) and G Josh Sitton (third selection). GREEN BAY–The Packers officially listed Aaron Rodgers as “out” for Sunday’s game against the Pittsburgh Steelers. “Aaron Rodgers has been declared out for the game. As an organization, we feel we are not ready for him to play. He is not medically cleared,” Packers Coach Mike McCarthy said on Friday. “I thought Aaron Rodgers did everything he could possibly do. He did some really good things in practice. This is where we are. “Matt Flynn is our starter. He’s ready,” McCarthy said. “We feel we can beat Pittsburgh with our football team. I had hoped Aaron’s situation would progress. We have a very good team coming in here on Sunday,” McCarthy added. Cobb is not yet on the active roster. A spot would have to be cleared for him on the 53 if he were to be activated for Sunday’s game. McCarthy did not say whether Cobb would be activated or not. As for possibly making space on the roster, McCarthy said on Thursday that DE Johnny Jolly’s neck/shoulder injury is “significant,” meaning he would be a candidate for injured reserve. McCarthy also announced on Friday that TE Brandon Bostick’s foot injury will require season-ending surgery. DE C.J. Wilson returned to practice this week after missing the last three games with an ankle injury. He was limited in practice all week and is listed as questionable for Sunday’s game. “We had a feel for it throughout the week, but we didn’t know for sure,” Nelson said. “I don’t think anyone in this locker room is surprised. Lang added that when Rodgers was taking more scout-team than first-team reps in Wednesday’s practice, the players pretty much figured out where things were headed. The Packers did practice outside in the wind and snow for their team periods on Friday. During practice, the weather resembled what forecasts are calling for on Sunday in Green Bay. Packers Head Coach Mike McCarthy said on Thursday that he’s hopeful C Evan Dietrich-Smith can return to practice in some capacity on Friday, but he hasn’t made a final decision on the starting offensive line should Dietrich-Smith not be able to play. Dietrich-Smith injured an ankle in practice on Wednesday and sat out Thursday. If he can’t play, he’d be replaced by RG T.J. Lang at center, the same move made in Detroit last week when Dietrich-Smith went down with a knee injury. One of three other players would fill in from there. One option would be for ro0kie Lane Taylor to take Lang’s spot at RG. Another would be for Don Barclay to slide over from RT to RG, with Derek Sherrod starting at RT. Or Marshall Newhouse could start at either RG or RT, with Barclay playing the other spot. 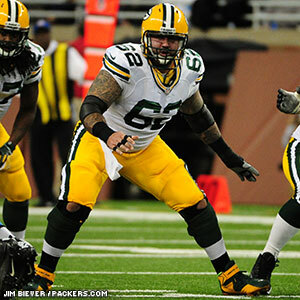 “The opportunity needs to be earned and performance will drive it,” McCarthy said. The Packers got no further clarity on QB Aaron Rodgers’ availability for Sunday. He practiced in pads and “made a little progress,” according to McCarthy, but there was nothing more to report. “He’s a step closer, but how far away, time will answer that question,” McCarthy said. In other news, CB Tramon Williams acknowledged that he was fined by the league for the contact he made with an official in the end zone in Detroit last Thursday. Williams said the fine was “in the 20s,” meaning thousands of dollars, but he maintained there was no intent behind the contact and that he didn’t know in the heat of the moment it was an official whose arm he swiped away. Head Coach Mike McCarthy officially ruled out QB Aaron Rodgers on the injury report for Thursday’s game in Detroit and declared Matt Flynn the starting QB. 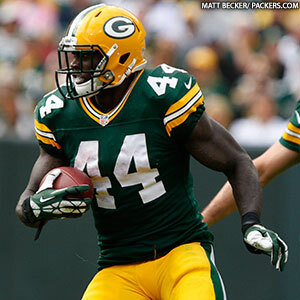 “Matt Flynn will be the starter tomorrow,” McCarthy said following the team’s practice on Wednesday. “He’s taken all the starter reps this week, and he’s ready to go. As for G Josh Sitton’s disparaging comments about Detroit’s defensive line and coaching staff, which he made on a radio show Tuesday, McCarthy addressed them briefly. The Packers are in a “week-to-week mindset” with QB Aaron Rodgers’ injury, according to Head Coach Mike McCarthy in a Tuesday afternoon press conference. Rodgers suffered a fracture to the clavicle in the first series of the game when his left shoulder was driven into the ground on a sack by Bears DE Shea McClellin. McCarthy said the doctors felt much better about the situation on Tuesday, after gathering more information on the injury. In Rodgers’ potential absence, Seneca Wallace figures to be the starter heading into Sunday’s Week 10 contest with the Philadelphia Eagles at Lambeau Field. The Packers head back to the practice field Wednesday afternoon. Packers LB Nick Perry may not be as close to returning to the field as his appearance at practice last Friday might have indicated. Perry did not participate at all in Thursday’s practice and appears to be having more trouble with his injured foot. In other injury news, TE Ryan Taylor (knee) returned to practice on a limited basis for the first time since injuring his knee against Baltimore three weeks ago. WR James Jones (knee) was also listed as limited, though McCarthy said he was doing mostly rehab. LB Brad Jones (hamstring) was listed as a full participant and could be nearing his return. There were also no new updates on TE Jermichael Finley, as the team is still gathering information and medical opinions on his neck injury. Finley was at the facility on Wednesday, however, for the team picture. His teammates appreciated another chance to see him, and QB Aaron Rodgers noted it always lifts an injured player’s spirits to come back and be around the team, even if only for a little while. Flynn left Green Bay after the 2011 season — which he ended with a record-setting 480 yards passing and six TDs filling in for Rodgers against the Lions in Week 17 — and signed with Seattle in 2012, but he was beaten out for the starting job by Russell Wilson. 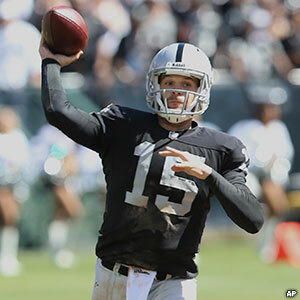 This year, he went to the Raiders but was beaten out by Terrelle Pryor. When Pryor had to miss a game two weeks ago, Flynn got his lone start since leaving Green Bay but lost and was demoted to third string. McCarthy admitted to being surprised that things haven’t worked out for Flynn elsewhere given how he performed in Green Bay. In his first NFL start, he nearly beat Tom Brady and the Patriots on the road in a prime-time game in 2010. McCarthy suggested that perhaps Flynn simply hasn’t found the right “fit” with another team, though he said he couldn’t know for sure without having studied Flynn’s game tapes. “Definitely I’m surprised, because when his opportunity came, I obviously gave him a very high recommendation,” McCarthy said. “I haven’t watched the film of Matt, so I can’t really give you an educated or informed opinion on exactly how he did play. For today’s feature story, which gives the latest on Clay Matthews plus a review of other aspects from Sunday’s game, click here.